"The Miracle Maker is coming!" If any town is in need of a miracle, it’s Woodhaven, a tiny town hanging on the edge of the American frontier. It’s nearly Christmas, but it’s hardly a season of celebration. Work is scarce, money is tight, love is lagging, and spirits are down. Maybe the Miracle Maker can turn things around. The town anxiously waits for someone magnificent who can change their lives. But the ragged traveller who appears isn’t what anyone expects—except for one small silent boy and a precocious little girl. It seems this man can barely take care of himself, let alone fulfill the dreams of others. But miracles can come in all shapes and sizes—and sometimes from unexpected places. Your entire family will love this Christmas tale of hope, love, and miracles. Add this to your Christmas Movie Library! My neighbor and I both loved watching this movie. And I love it when I find a clean, wholesome, family friendly show that teaches values that seem to be lacking in today's society. I strongly recommend this movie. It would make a great gift to your family, friends and neighbors. 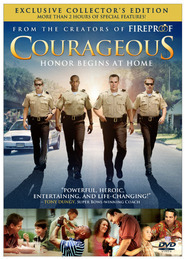 This movie teaches Christian values but is not an LDS film. This is the story of a small town that is struggling. Mr. Booth owns the town and he's a bit of a miser. He's firm and controls his daughter's life. We learn about some different families that are having difficulties keeping current on their rent. After a sermon on miracles, the children decide they need a miracle maker and soon that's the talk of the town. A young boy who hasn't spoken since the death of his parents sends a pigeon with a message. They soon receive a telegraph that a miracle maker is coming. When he arrives, though, he wasn't what they were expecting. This is a fantastic family film! I watched it with my children and we all enjoyed watching the transformation that happened in the town during the course of the movie. 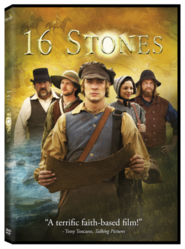 I enjoyed all the characters and thought the people of the town were portrayed well. I love Jasen Wade (the "Miracle Maker") and enjoyed his interactions with the townspeople. I especially got a kick out of how he paid for his bread. Even though times were tough, it's not all doom and gloom and there is some humor as well. There are two older women who have an opinion on everything and a young girl who isn't afraid of anyone in town. Hearts were softened and friendships were formed or renewed. There were times I found myself waiting for something big to happen and took a few minutes when it was finished to reflect on the overall message and how it relates to me in my life. The message of love, hope, forgiveness, and miracles is one that I especially enjoy this time of year but I plan to watch it throughout the year as the message is timeless. I was provided a link to review this movie for an honest review. This movie will be a holiday classic for years to come! was able to watch this movie with my family over the weekend and we all loved it! I loved that the whole feel of the film is old time. The movie is filmed in places that look and feel old and the characters feel as though they were from that time period too. I loved the littlest daughter of the shopkeeper, she really stole the whole show with her adorableness! But I also loved Sara and her brother too. And Lily and her love, their story was sweet too. And the two old ladies. And the woman who didn't get out of bed because of all of her aches and pains. And the shopkeeper who was willing to giveaway bread for rocks...I really could go on and on! I thought that all of the characters in this movie were played really well, they seemed as though they could step right off the screen and be who they were in the movie. I loved the plot of this movie. The whole town was in need of miracles, and they got them, just not in the way that they were thinking they would. This movie is one that my family wants to watch over and over, our daughters are already asking for it to be included in the Christmas movies we watch every year. I predict that it will be a holiday classic for many years to come! I was able to view this movie early in exchange for writing a review. I had the privilege of previewing this movie for review and I have to tell you that I really loved it. It is the perfect movie for this Christmas season. Think snuggles on the couch, a bowl of popcorn and a message that leaves you feel good inside. I love the the feeling of hope and healing. I love the characters in this movie. They did a great job of making this movie believable and real. It never felt over the top or cheesy to me. Every character in this movie is linked to another and as it seems like when one good thing happens, it is sort of like a domino effect. The acting was "top-notch"! Their on-scene personalities were so real - natural - one immediately felt endeared to each one...except the villain (he really fit the arrogant, pain in the behind, part!). It was a well-written script for the most part. I do not feel any of the acting parts could have been better filled. It was a touching, captivating tale. even my husband - the movie critic - who doesn't feel like most movies are worth his time, actually enjoyed this one, also! there was a scene at the first where an actor had a "disfigurement"on one side and through the rest of the film it was on the opposite side, but most probably wouldn't notice that. The only other criticism I have is it ended too abruptly. I would ave preferred a little more viewer insight to dramatic changes. An additional fifteen to thirty minutes would have made it more meaningful. Still, it left one feeling "in better spirit" for watching it! *I was allowed to view this DVD in exchange for an HONEST review, of which I have given. I cannot say enough good about this delightful movie. It shares the message of kindness, love, and forgiveness in a way that is attainable to everyone. It's a message that everyone needs to hear. The acting is wonderful and it's easy to get swept up in the movie. I have loved this story for the first time I had the privilege of reading. They did a fantastic job of turning Ann's short story into a wonderful movie. My kids loved watching it with me and have asked questions about it since. I highly recommend this movie to everyone. Would we recommend buying or gifting this movie? Absolutely! It is heart warming and simple and just in time for the Holidays. Highly recommended as a clean movie for the whole family. This was an outstanding film perfect for Christmas. I loved getting to know each character in this small town. I wanted to live among them. The people needed a miracle and when one gentleman named Matthew arrived, they thought he was the miracle maker. He didn't have much to offer except rocks. He was a hard worker and did all he could to help the people in Woodhaven. There were many things the townspeople needed and the miracle maker made it happen for them. He taught the town to believe. There were many characters I enjoyed watching. Lilly was stuck in her home due to an accident. Her father thought he was protecting her but he was only hurting her from being with the one she loved. Gabriel's mother was ill but her character made me laugh. Will she ever leave her bed or will she stay there forever? Jenny and Elias own a store that is suffering. Will they be able to pay their rent and continue to sell supplies or will they struggle to meet ends meat? Overall, it was a powerful and touching story and I enjoyed it. I definitely recommend this movie to anyone. We can create our own miracles and become miracle makers in our communities.